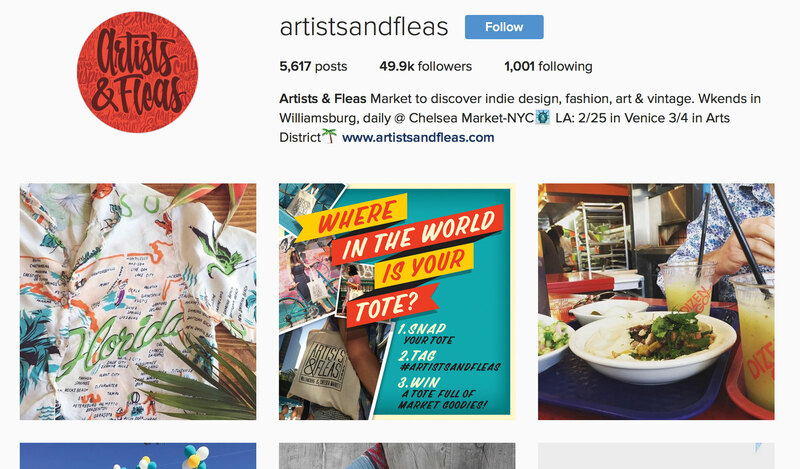 Artists & Fleas started as a small marketplace in Williamsburg, Brooklyn where independent businesses could set up to sell goods ranging from vintage clothes to unique jewelry and beyond. They have expanded to a huge warehouse just blocks away from the original location, as well as a location in the famous Chelsea Market in Manhattan, and a bi-monthly pop-up in Venice, CA. They have transcended being just a destination for shoppers and vendors to a brand. Time to time they hand out free tote bags donning their logo to shoppers. It both serves as free advertisement for the brand as well as a coveted item that shoppers use well after exiting the market. 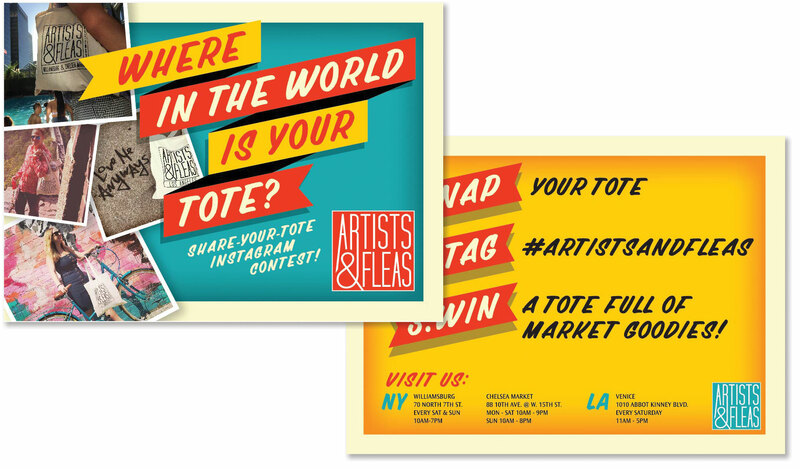 Artists & Fleas wanted to engage their shoppers/fans/followers with an Instagram contest featuring their tote. Shoppers would simply take a photo with their tote, post it up with the hashtag, and could win prize packs featuring the vendors from the market. The campaign was designed using the established esthetics of the brand and actual Instagram photos that existed in their feed for a more authentic feel. The graphics were adapted for print, various social media platforms, and email blasts.